This exceptional florist in Robertstown is JUST perfect for all of your flower delivery and floral needs. Call in today or phone in with your order for delivery in Robertstown and the surrounding areas. To place your order please use the contact details provided near the bottom of this page to call or email. *Prices include delivery charges in the immediate Robertstown area. If you are planning your wedding day arrangements why not contact us for a no-obligation and very competitive wedding flowers quote. We provide flowers for weddings all over Kildare and beyond - not just the Robertstown area. Nothing is too much trouble. Our phone and email details are below. 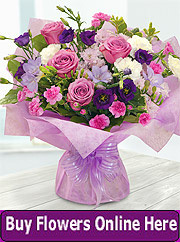 For the very best value you should order from a florist that is local to where your flowers will be delivered. If you order flowers from a florist that is local to you, but remote to the receiving party, then there is a very strong possibility that less than 66% of the amount that you pay will go to the florist (the one local to the person receiving the flowers - not the one where you place the flower order) that actually delivers the flowers. The balance will go to the florist that receives your order (and all he/she does is pass the order on) and whatever flower relay company is involved. And, of course, the delivering florist must cover her/his costs and must make a profit, so the value of the flowers that are delivered will be significantly less than the money that you have paid. So the moral of the tale is: If you want it delivered local then make sure to order local. 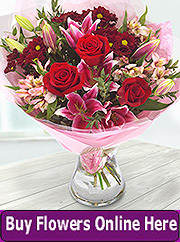 If you are ordering from outside of Ireland, for delivery in Ireland, then make sure to order from local florist listed here on Irish-Florist.com.